As the Windows 10 release gets closer, excitement around the OS is growing among those waiting to close the curtain on Windows 8. Lenovo, the world’s largest PC maker, sees more customers wanting to upgrade to Windows 10, and is bullish about the OS, said Peter Hortensius, chief technology officer at Lenovo, during an interview at International CES in Las Vegas. Windows 10 will succeed the current Windows 8.1 operating system, which has been criticized for its radically different touch-based tablet user interface. Windows 10 will resolve many problems affecting Windows 8.1, which is a good OS but has its issues, Hortensius said. For example, Windows 10 will boot straight to the desktop, something Windows 8 can’t do. (A spring update for Windows 8.1 added the feature, however.) That’s a common-sense approach that is bringing customer confidence back in the OS. The UI change, multiple OS editions, and program compatibility issues didn’t go down well with many, and enterprise customers preferred to skip Windows 8 and are still upgrading PCs with the older Windows 7. Windows 10 brings back many familiar Windows 7 features, which Microsoft hopes will please OS loyalists. The new OS removes program incompatibility issues plaguing Windows Phone and Windows 8 versions for Intel and ARM processors. Windows 10 brings the Start menu back to Windows. 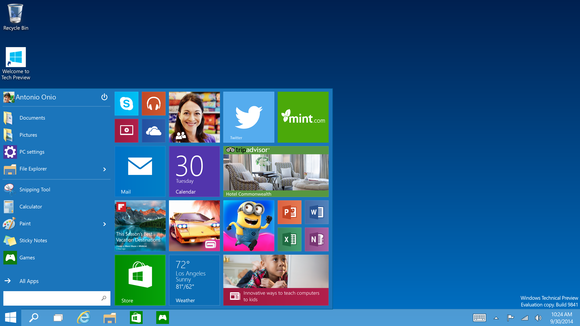 One big change in Windows 10 is the return of the Start menu, which was abandoned in Windows 8. 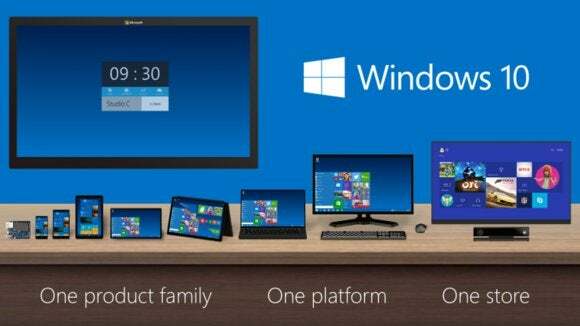 Also, Windows 10 will scale from mobile to desktop devices, and applications will be compatible across all devices. Microsoft offers different versions of Windows for mobile phones, desktops and servers, and Windows 10 will unite those editions. Analysts have said Windows 10 could spur a round of PC upgrades in businesses, which could boost PC shipments. Lenovo’s shipments have increased even as rivals like Dell and Hewlett-Packard struggled in recent years as laptop and desktop shipments slowed. Customers are responding well to changes in Windows 10, and Microsoft is taking the right approach in developing the OS, Hortensius said. “We’re very positive about where the product is going,” Hortensius said. A consistent user experience across all devices is important, and it has to be seamless, Hortensius said. A fully integrated and collaborative experience will help Microsoft’s chances of putting Windows 10 in more devices, Hortensius said. Depending on customer demand, Lenovo may consider the OS for a range PCs, tablets and handsets. “It’s up to Microsoft to make competitive offerings. If they do... we’ll gladly use it,” Hortensius said. Microsoft hasn’t provided a Windows 10 shipping date, but it is expected to be in PCs later this year. A beta version of the OS is already available for download. Hardware makers are preparing for the new OS. Lenovo and other PC makers will likely put Windows 10 in laptops and desktops later this year. Intel and Advanced Micro Devices are already tuning chips for the OS. Editor's note: This article was updated at 3:22 P.M to add information about Windows 8.1's boot-to-desktop capabilities.